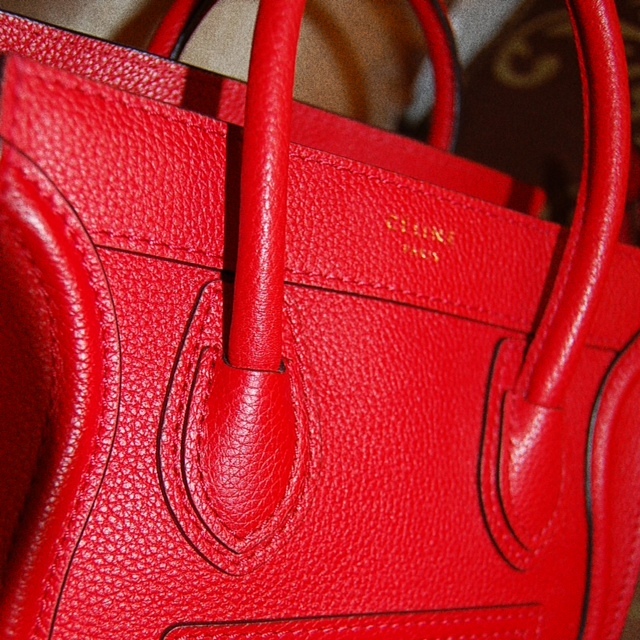 Two iconic Celine bags—but there can only be one winner. Find out which bag I prefer. Ever wonder what's the difference between the uber-popular Céline Mini Luggage and the Céline Nano? Well wonder no more. 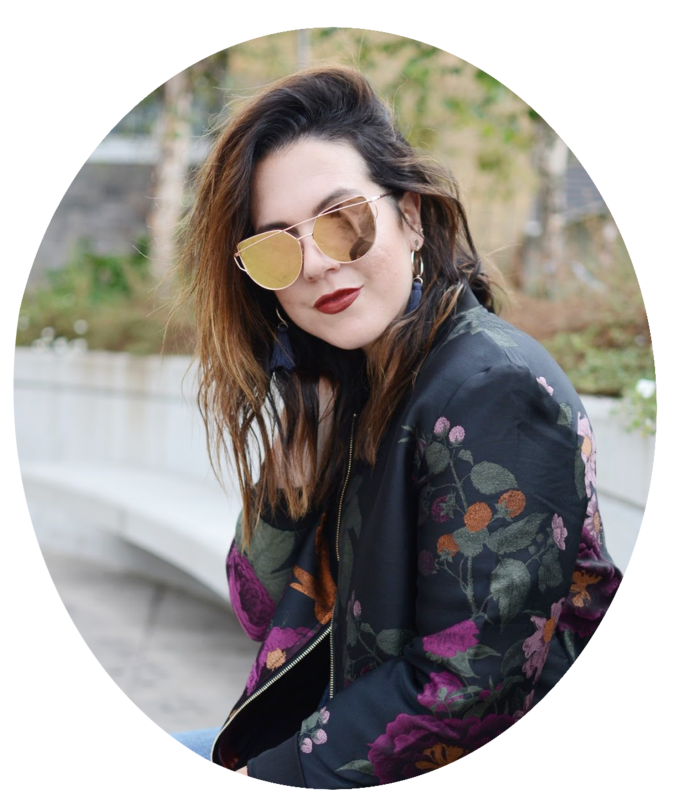 Follow along as I compare these two covetable handbags from every conceivable angle including: size, material, pros, cons and more. Pros: I've owned a fair share of designer handbags and this is by-far the most stunning. 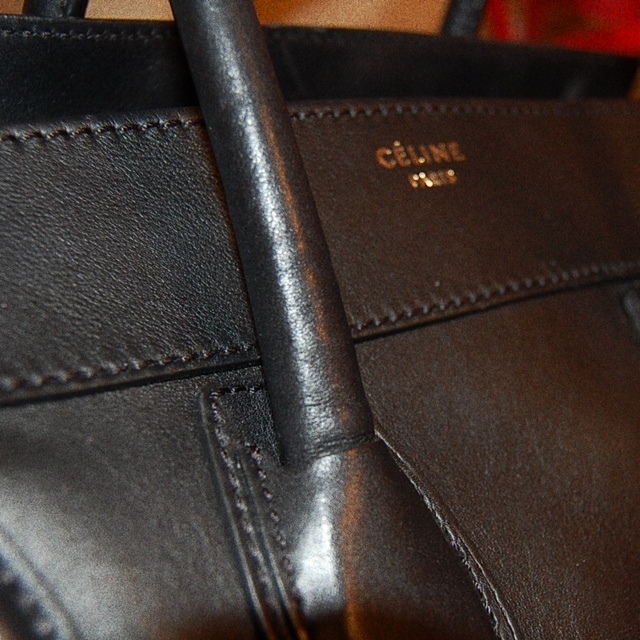 The leather is smooth and luxurious and the craftsmanship is exquisite. Upon close inspection, it is impossible to find even a stitch out of place. I have owned this bag for more than a year and it continues to surprise me with how durable ... and long-lasting ... it seems to be. Cons: If you have ever seen a well-used Céline Mini Luggage then you know they can quickly become used and abused looking. Though extremely roomy, it is inadvisable to carry a lot of weight around for an extended period of time, as the buttery smooth leather tends to stretch and sag. 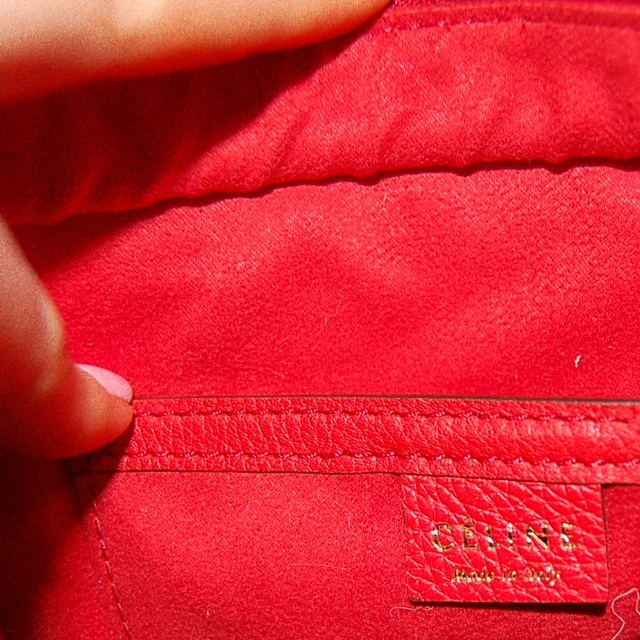 To attempt to combat this I cut and insert a stiff felt liner on the inside of each of my designer handbags, which serves to keep the interior clean and also adds structure and support to the bottom and sides. Also, the bag's straps are too short to be worn comfortably on the shoulder therefore rendering it an in-hand or in the crook of one's arm bag only. Pros: An adorable cross body bag, the Nano is ideal for someone looking for a hands-free option that's roomy yet structured. 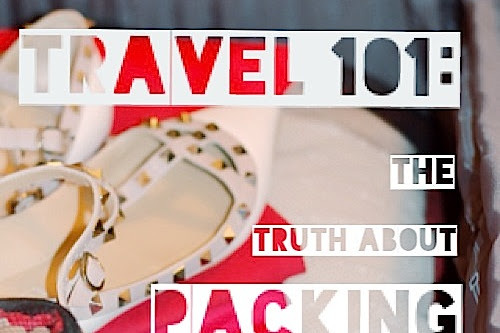 I can comfortably carry my iPhone, sunglasses case, wallet, keys and small makeup essentials. When I'm travelling, it's also not a stretch to fit a small digital camera inside as well. The drummed, or pebbled, leather is durable and relatively scratch resistant - a nice trait for a small bag that rubs around your clothes and swings around your body most of the day. Cons: The interior of this bag is micro suede ... MICRO SUEDE! After ordering this bag over the phone from NM Beverly Hills, I was horrified to discover the inside of the bag was not made of leather. After more research, I learned this is the norm for Nanos. 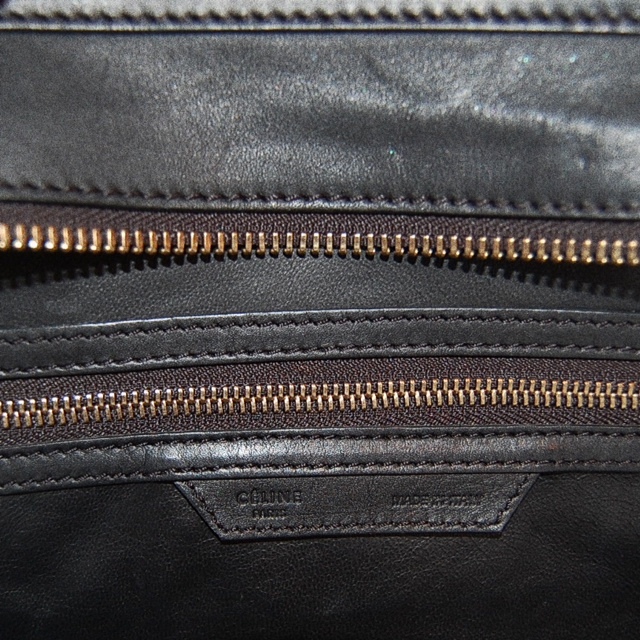 Drummed leather Nanos often have microsuede inside while smooth leather bags have cloth. I have also learned that several newer generation Nanos now have real leather interiors, too. So, make sure to check out which interior material you want before purchasing. Conversely, the larger luggage styles boast smooth leather inside of the smooth leather bags and genuine suede inside drummed leather. Have any other questions about these two handbags or want to see more comparisons? If so, leave comments below. Thanks Diana! I have now followed your blog too. Great outfits, btw. Wow. I love the color of it. I wish I can have one for myself. This is so useful! 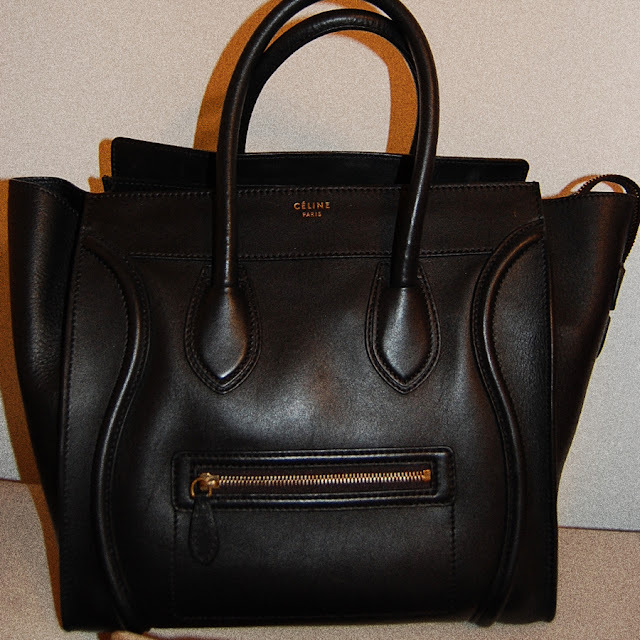 I'm on the hunt for a nano celine and kept running into the mini online. Based on your description I feel even more strongly about the nano. Now here's a comparison I would love to see from you - the PSII vs the Nano! A comparison between the PS and the Nano is a GREAT idea ... stay tuned. Hi, How is the wear of the nano? Do you think it can carry a heavy load? The drummed leather Nano wears very well! I am impressed by how it has held its shape. But having said that, I stuff mine with non-acid paper to keep its shape when not in use -- and have a felt form inside at all times to help keep its shape when I'm using it. Because of the design, I think all Celine luggage designs have the ability to look really sloppy/stretched out if they are not cared for properly. I would like details on the felt form you use for your designer bags. What does the nano bag cost? This video helped so much. Thank you!! Thanks for this wonderful review! 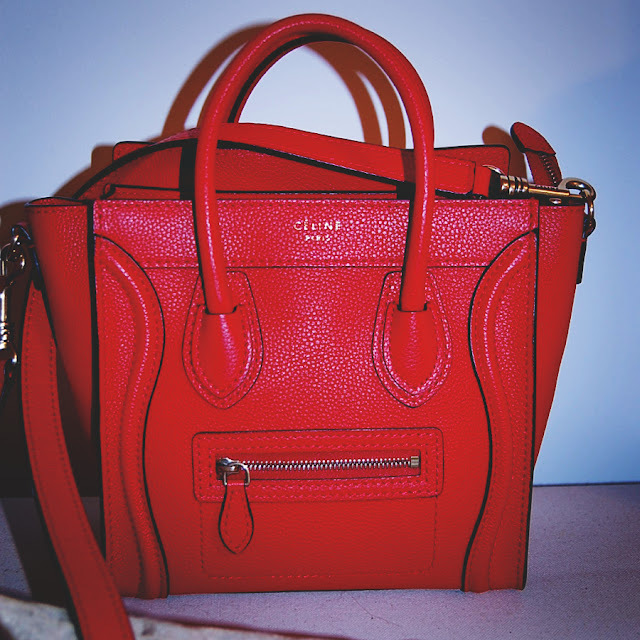 I am debating between a Celine Micro luggage in souris or the Celine Nano luggage in vermillion! If you could repurchase both bags again and can only get one, would you pick the Micro or the Nano? My black bag was a Mini Luggage, so it was a tad bigger than the Micro you're looking at, but that aside, I would HANDS DOWN buy the Nano again over the larger Luggage bag. In fact, I have since sold my Mini Luggage because I felt it was not aging well and was a tad too heavy. I hope this helps and please do share which one you buy. I would love to hear which one you choose. Thanks! I finally decided to go with the nano luggage in vermillion in the end! This bag is quickly becoming my favorite bag ever!